It is always a sad time when we lose any of our members. Our members have been, and continue to be, an important part of Emory, even if they have moved away or are no longer able to attend any of our functions. The loss of John Bugge is particularly difficult. As one of our co-founders, along with Gene Bianchi, John was an important part of EUEC from the very first, working on creating an Emeritus College for three years before its approval in 2001. It is important to note that John began this work thirteen years before his own retirement in 2011. John played an important role in developing most of our important programs and was Chair of our Executive Committee at his death. He led all of our Interdisciplinary Seminars, he taught many times in OLLI, he was one of the first to be trained as a retirement mentor, and he conducted many of our mock interviews for pre-health undergraduates. He was one of the founders of GA-HERO (Georgia Association of Higher Education Retiree Organizations) and played a large role in AROHE (Association of Retirement Organizations in Higher Education), serving on its Board for the maximum of two terms and then on various AROHE Committees. He was the leading force in our hosting of the recent national AROHE Conference, and the report on that Conference, below, is a tribute to his final EUEC legacy. In addition to everything else that John did, he was a faithful editor for this newsletter, making sure among other errors that no Oxford comma was left out. Below, you will also find tributes to John from our members, from across the University, and from other organizations. John's passing is a big loss for all of us. John is truly irreplaceable. A major challenge for us is how we respond to his death. John cared deeply about EUEC and so the best tribute we can give to John is to continue to build EUEC to be an even stronger presence on campus. We cannot look to any one person to replace John. Instead, we need many members to step up and start new programs or continue old ones. 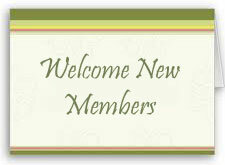 It is great to have so many new members joining as in the past few years. We need to encourage those new members to contribute their energy and talents in ways that are enriching both for them and others. The Interdisciplinary Seminars have proven to be a tremendously rewarding experience for those who have participated. We now need people to step up and volunteer to lead new seminars. What other programs are just waiting for a leader? Anyone who knew John would know that above all he would want our activities to continue in his absence, and such is the case. We had a great Lunch Colloquium last week and thanks to Jan Pratt you can read below about Ken Carter's talk. Arri Eisen's Lunch Colloquium next week will be a fascinating look at what might seem to be a very unlikely intersection: Emory Biology and Tibetan Buddhist monks and nuns. Those of you who have spent time on campus in the last few years will know that it is not surprising to see red-robed monks walking across campus as a result of this collaboration. As always, it is a great pleasure to welcome new members like those identified below; be sure to reach out to them whenever you get a chance. We celebrate the life of John Bugge, one of the co-founders of the Emeritus College and Chair of our Executive Committee. When the Dalai Lama invited Emory to shape and lead the first significant change to his monastics' academic curriculum in six centuries, little did anyone imagine what all involved were in for. But today, we'll hear from a person well equipped to tell us. Arri Eisen, the current Nat C. Robertson Distinguished Teaching Chair in Science and Society, who has been teaching in Biology, Interdisciplinary Studies, and the Center for Ethics at Emory for 28 years, has been involved in the Emory Tibet Science Initiative for more than a decade. He is the author, with Yungdrung Konchok, of The Enlightened Gene: Biology, Buddhism, and the Convergence that Explains the World (ForeEdge,2018). Arri Eisen received a BS with honors from the University of North Carolina-Chapel Hill in 1985 and a PhD in biochemistry from the University of Washington-Seattle in 1990. He has been teaching at Emory since 1990 and is in the Department of Biology, Institute for the Liberal Arts, and the Center for Ethics. 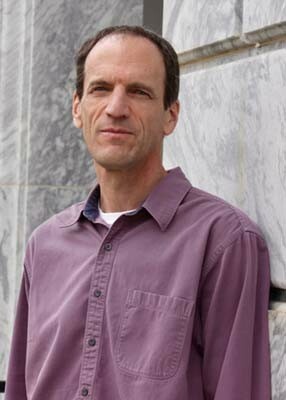 Eisen has been the director of the program in Science and Society since its inception in 1999. This program, with support from the Nat Robertson Fund, facilitates visiting lectures and professorships and programming from science fiction to medical history, and from evolution to Buddhism and science. Eisen has also been the director of teaching since its inception in 1999 for FIRST, Fellowships in Research and Science Teaching, an NIH-sponsored partnership with Morehouse, Spelman, Morehouse School of Medicine, and Clark Atlanta University that has supported postdoctoral training in teaching and research for more than 165 fellows who are now active in science throughout academia and industry. Eisen is a leader in the Emory-Tibet Science Initiative, a historic program that since 2008 has worked to integrate modern science into the six-hundred-year-old curriculum of the Dalai Lama's monks and nuns in exile in India. Eisen's book on this project (written with one of the monks, Yungdrung Konchok), The Enlightened Gene, was published by University Press of New England in 2018. In a typical week, Eisen teaches undergraduate, master's, PhD, and MD students, as well as physicians and monks such courses as How to Teach, Cell Biology, Epigenetics, Bioethics, Ethics in Clinical Research, and Science and the Nature of Evidence. Eisen had a radio show on WABE, 90.1 FM for two years, wrote a column for ReligionDispatches on science and religion for two years, and has published in the peer-reviewed literature with lawyers, chemists, philosophers, public policy scholars, religionists, biochemists, geneticists, physicians, bioethicists, and several of his students. Do you love roller coasters? Have you ridden the Atlanta Ferris Wheel? Or do you refuse to look down from a balcony more than three stories above the ground? Will you eat a strange food without asking what it is or must you see the menu choices described in advance? Your answer to those questions would help to determine if you are a thrill seeker. So claimed Ken Carter, Charles Howard Candler Professor of Psychology at Oxford College in his presentation to the Emeritus College Lunch Colloquium on November 4. The study of thrill seeking grew out of studies of sensory deprivation by Marvin Zuckerman. He discovered that when deprived of sensory stimuli, some people could sit quietly for an extended period while others could only last a few minutes. He wondered why. From this observation, he turned his attention to what he called sensation seeking. Now in his new book, due out from Cambridge University Press next year, Professor Carter has taken up that subject in depth. Sensation seeking was defined by Marvin Zuckerman as "seeking of varied novel, complex and intense experiences and the willingness to take physical, social, legal and financial risks for the sake of such experiences." Most of us think of thrill seekers as those who engage in potentially dangerous activities like bungee jumping, rock climbing, and sky diving, and Professor Carter showed us slides and videos of several examples. But, he explained, seeking out such dangerous activities is only one component of a high risk taker's profile. The others are (a) seeking experience of the mind - being drawn to unusual people, unusual travel, unusual food, and other new experiences, (b) disinhibition, which Professor Carter defined as the ability to be unrestrained, and (c) being easily bored. Given that definition, some of us started to think that perhaps we might be a little thrill seeking. Professor Carter suggested that we could take a simple on-line test to see how we rate. If you'd like to do that, go to this link: http://buzz.drkencarter.com/. Most people fall somewhere in the middle of the sensation seeking continuum though Professor Carter explained that he, personally, is so low risk seeking as to barely register on the curve! So, where does this personality trait come from? Is it nature or nurture? It seems that it is mostly nature. Professor Carter observed that people he saw engaging in a high-risk activity - jumping off a bridge - displayed no anticipatory excitement. High sensation seekers just don't see the dangers the same way as low sensation seekers - it is an entirely different world view. And it is influenced by neurobiological factors. First, the stress system - stress is the sensation we experience when facing danger or the fight, flee or freeze response. Cortisol is released as we identify a danger, digestion slows, the heart races, muscles tense and blood pressure rises. A low risk taker is highly stressed and anxious when facing a high-risk activity. High risk takers, however, release less cortisol and therefore are far less stressed when undertaking that same activity. The Behavior Approach System also influences a person's response - the idea that something can be rewarding will activate the pleasure centers of the brain. However, also at work is the Behavior Inhibition System that activates response to a potential danger. Those with a sensitive BI system are low risk takers. They tend to focus on potential dangers causing them to back away from the potentially pleasurable activity. High risk takers are not so sensitive to threat and continue to be open to potential reward. They just go ahead regardless. Professor Carter said that studies suggest that high thrill seekers are not injured more often than low risk takers. And if they are injured, they are more likely to continue pursuing the dangerous activity anyway and to bounce back from the injury more quickly. Most likely this is a result of a mix of preparedness and confidence that low risk takers may lack. Two areas where the high-risk taker - low risk taker personality traits are also displayed are in travel and food. Low risk takers prefer organized tours in safe places (or to remain even safer at home); high risk takers like to be immersed in new cultures and to travel to riskier places and experience what it is like to be a local there. Food, of course, is a big part of travel. Those with a high Behavior Inhibition System are cautious eaters; they have less tolerance for strange foods and a stronger physical response to those things they find disgusting than their more adventurous peers. After the talk, there were many questions. Thrill seeking, not surprisingly, peaks in early adulthood and does decline with age, though boredom intolerance always remains. Thrill seekers also respond to environmental factors. It makes sense that a thrill-seeking couple would take less risk when they are responsible for a child. Women used to be underrepresented among thrill seekers although that is changing. Although thrill seekers may be found in all cultures (and at all times in history) access to resources will always affect the kinds of risks any thrill taker is able to take. Asked about vicarious thrill seekers, Professor Carter said that high thrill seekers like surprises; they favor fantasy fiction and adventure and horror films. Professor Carter has collaborated with an organization called Science North that will be touring the US with an exhibit on sensation seeking that he hopes will make a stop in Atlanta. Finally, he left us with his web address drkencarter.com where we can ask further questions as well as find that test to see where we fall on the sensation seeking continuum. So we dare you to take the test to see if you are thrill seeker. You might be surprised. Thank you to Professor Carter for an interesting and fun presentation. No matter where you score on the sensation seeking continuum, you could not have been bored at this colloquium. I came to Emory University in 1988 to the newly founded Department of French and Italian, having taught at the University of Pennsylvania and at the University of California Berkeley. Although Berkeley was a very exciting place to teach and had excellent students, I missed the ambiance of the smaller universities where I had studied, Brandeis University and Johns Hopkins University. I realized that smaller classes would allow me to engage more effectively with the students in both teaching and mentoring, while enabling me to continue to pursue an active research agenda. I was drawn to Emory by the enthusiasm and support of Dean David Minter, who was indefatigable in promoting Emory's excellence and future promise. But what really sealed the deal for me was the intelligence, directness and warmth of the community I found here. I held several terms as chair of the Department of French and Italian at Emory University helping to build the department's national and international standing and reputation. I assisted with the foundation of Comparative Literature as an independent department, as well as worked actively with colleagues in other disciplines such as Philosophy, Film, Art History, and the ILA to foster interdisciplinarity. Like many of you, I also served on innumerable committees ranging from the departmental level to the Faculty Council and the Presidential Advisory Committee. seventeenth century French literature and philosophy, as well as courses on early modern and modernist aesthetics. In 2002, I was awarded a National Endowment for the Humanities Professorship in French. I received my PhD from the Department of Romance Studies at Johns Hopkins University in 1979. The French philosophers on the faculty, Louis Marin, Jacques Derrida, Jean-François Lyotard, shaped the theoretical outlook of my cross-disciplinary methodological approach. My book publications cover two major areas of scholarly inquiry. The first focuses on subjectivity, representation, and the body in the early modern period that includes: Subjectivity and Representation in Descartes: The Origins of Modernity (Cambridge University Press, 1988) and The Culture of the Body: Genealogies of Modernity (University of Michigan Press, 2001). My other major area of publication focuses on questions of artistic representation in modern art and experimental aesthetics: Unpacking Duchamp: Art in Transit (University of California Press, 1995), French trans., Déplier Duchamp: Passages de l'art (Lille: Presses du Septentrion, 2000), and Drawing on Art: Duchamp and Company (University of Minnesota Press, 2010). I co-edited a volume with my Emory colleague Tom Flynn, Dialectic and Narrative (SUNY Press, 1993), based on a conference we organized at Emory on behalf of the International Association for Philosophy and Literature in 1989. In addition, I co-edited with James I. Porter a book series at University of Michigan Press, The Body, in Theory: Histories of Cultural Materialism (1994-2004). My most recent book is Georges de La Tour and the Enigma of the Visible (Fordham University Press, 2018). I had planned for John Bugge to write this report. Sadly, that is not possible, but the very successful conference will serve as his final legacy to the Emeritus College. I had only been Director for a bit over two months when I attended the 7th Biennial AROHE (Association of Retirement Organizations in Higher Education) Conference at the University of Minnesota along with John Bugge and Gretchen Schulz in August of 2014. The conference proved to be a good way to get quickly introduced to colleagues from retirement organizations across the country. Our Emeritus College has been involved with AROHE from its founding and Gene Bianchi, one of our co-founders, was President of AROHE in 2004 at the time of its second Conference. 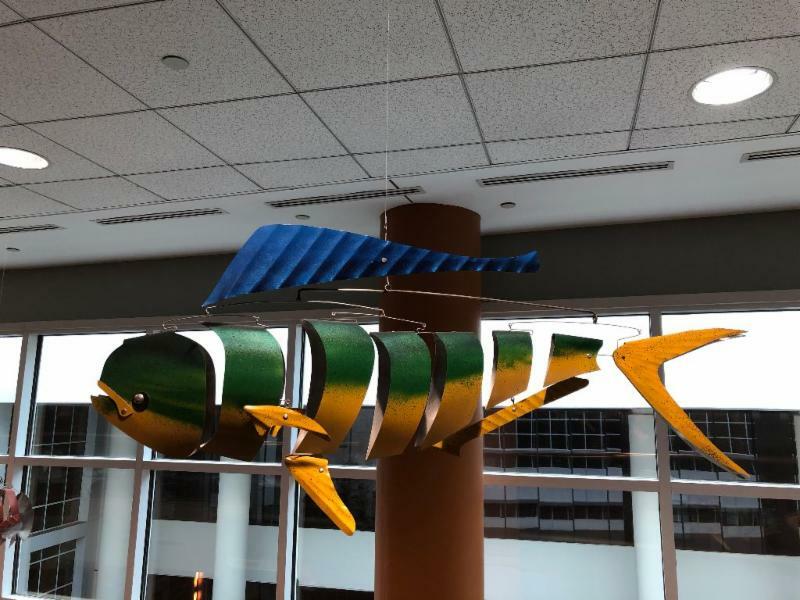 In March of 2016 as we were beginning to plan to attend the eighth conference in Seattle, John asked whether we might consider hosting the 2018 Conference. That was certainly a challenge, but John felt we would have a lot to offer as the host organization. I issued a call to members, asking for those who might like to help with such a conference and who would be willing to attend the Seattle Conference so that there would be more than three of us with AROHE conference experience. Five of us ended up attending the 2016 conference at the University of Washington in August: John, Gretchen, Marilynne McKay, Holly York, and me. By the end of the conference, we felt that we could host the conference, if it didn't have to be held in August and if we were able to secure funding to help defray the conference costs. When we returned, we worked on writing a proposal to The Emory Conference Center Subvention Fund which is managed by the Center for Faculty Development and Excellence and funded by the Office of the Provost. The Subvention Fund is to promote "the visibility of academic conferences organized by Emory faculty." Our proposal was atypical as it was not academic and scholarly in the same way that most funded conferences are, but we made a strong argument that our focus was aimed at strengthening the college and university faculty life and that our two proposed keynote speakers were academics who would be talking about their recent books (Roger Baldwin from Michigan State University and Steve Tipton in Candler School of Theology). We received generous funding that made it possible for us to make a formal proposal to host the conference. By March of 2017 John was beginning to outline a planning group that was to serve as the structure for the rest of our work. One important decision that John made early on was to involve members of GA-HERO in the planning. GA-HERO (Georgia Association of Higher Education Retiree Organizations) consists of retirement organizations of Georgia colleges and universities. John was instrumental in helping to start GA-HERO in 2012 and was Vice President when he dies; Emory is the only private institution member. GA-HERO was a co-host of the conference and numerous GA-HERO members contributed significantly in the planning, and also in work and presentations at the conference. Marilynne McKay was chair of the publicity committee and was responsible for the design and implementation of the website for the conference (https://arohe2018.org/) along with our webmaster, Stacey Jones. Marilynne was also the person who designed the brochure for the conference and translated all of the information about the conference into a form that was both visually appealing and compact. The fruits of that work can be seen in the online version of the program. Gretchen Schulz was chair of the program committee and along with Kathy Tomajko (Georgia Tech) and Dennis Marks (Valdosta State) put together a program that had 59 participants with 35 presentations in 14 sessions. Most of the text for the printed program was written or edited by Gretchen and her committee. Holly York was chair of the Sunday evening program and basically by herself organized a reception and banquet for 150 people. The reception was held in the Woodruff Library, with refreshments in the Jones Room and visits to the Rose Library to see displays from the collection and the gorgeous view of Atlanta. The banquet was held in Cox Hall across the street. This was the only part of the conference held in a venue other than the Emory Conference Center Hotel and allowed participants to see at least a bit of the campus. Marianne Scharbo-DeHaan was chair of the Atlanta arrangements committee and along with committee members Brenda Bynum, JoAnn Dalton, and John Ford, arranged for special tote bags to be filled with Georgia goodies, arranged special events on Monday and Tuesday for guests of conference registrants, and planned and executed the conference "Signature Event" for those who were able to arrive by Sunday morning. The Signature Event was a bus tour of Atlanta with lunch at Mary Mac's and stops at the MLK Center and the Carter Library. Brenda Bynum and John Ford provided commentary during the tour, and those of us who were not able to go on the tour heard gushing reviews from the 50 people who did go. The other major event of the conference was a "Dine-Around" in which volunteers drove conference attendees to various Atlanta restaurants for Monday dinner. This logistically very complex event was organized by two GA-HERO members: Missy Cody (GSU and EUEC) and Dorothy Zinsmeister (Kennesaw State University). Emeritus College members were also represented on the program. John Bugge moderated a session on emeritus colleges, I presented in a session on communications, and Helen O'Shea spoke about our peer mentoring program (with assistance from Marilyn Lineberger from Emory's Faculty Staff Assistance Program). In all, there were 138 conference registrants from 64 colleges and universities representing 24 states and two provinces of Canada. Such a major undertaking could not have been done without the help of many people. Although as noted above we had help from numerous GA-HERO members and also several AROHE Board members, for the purposes of this article, I want to highlight the many EUEC members who helped. But I want to start by acknowledging the wonderful contributions of our administrative assistant, Dianne Becht. She did a lot of work as the conference was being planned, and in the few weeks before the conference was kept busy with a huge number of different tasks that had to be done. She put in very long hours at the conference itself on Sunday, Monday, and Tuesday, greeting conferees with her ever-present smile and working to make sure that everything went smoothly. Much of the success of the conference is due to her work. Just a note to say how grateful the Planning Group are for your volunteer service at the AROHE Conference. Even though the attendance was only around 160 or so, there were as many events and features scheduled as there would have been for five times that number, and it was essential to have your generous support to make everything work as planned. Comments that I received throughout the two and a half days of the Conference were laudatory, and the reason had so very much to do with the detailed execution of what we'd put down on paper, and that is what you did so well. We can't thank you enough for your public-spirited generosity. You are what makes the Emory Emeritus College and GA-HERO look like the model academic retirement organizations they are! What a terrific job you and your team have done for AROHE and also for Emory University and your Emeritus College. Your dedication and attention to detail made the Conference a huge success. Your southern hospitality and thoughtful processes insured that everyone received a positive, educational, and welcoming experience. We are all grateful for your service and expert execution. -Janette Brown, Executive Director of AROHE. I went on the Atlanta tour earlier in the day and it was fantastic - well organized, good descriptions on the bus, delicious meal at Mama Mac's, interesting tours of MLK and Carter Center. The thorough planning and attention to details was obvious and appreciated. Thanks to all that contributed. Planned exceedingly well. Program was varied and helpful. All colleagues were warm, friendly and eager to respond to questions. I thought the planning committee did an excellent job. This was an outstanding conference and attention to detail was superior. Kudos to all involved. Outstanding Conference. The attention to detail was outstanding. Thanks to the exceptional Planning Committee and to all who made this such an incredible Conference. Almost everything about the conference was excellent. The conference was extremely well planned and managed. Very well done! It must have been a huge undertaking for folks who are "retired!" BRAVO! The picture above shows the conference participants who went with the Dine-Around to the Siam Thai Restaurant in Decatur. John and Liza were volunteer drivers. Liza is fifth from the right in the picture, with John second from the right. 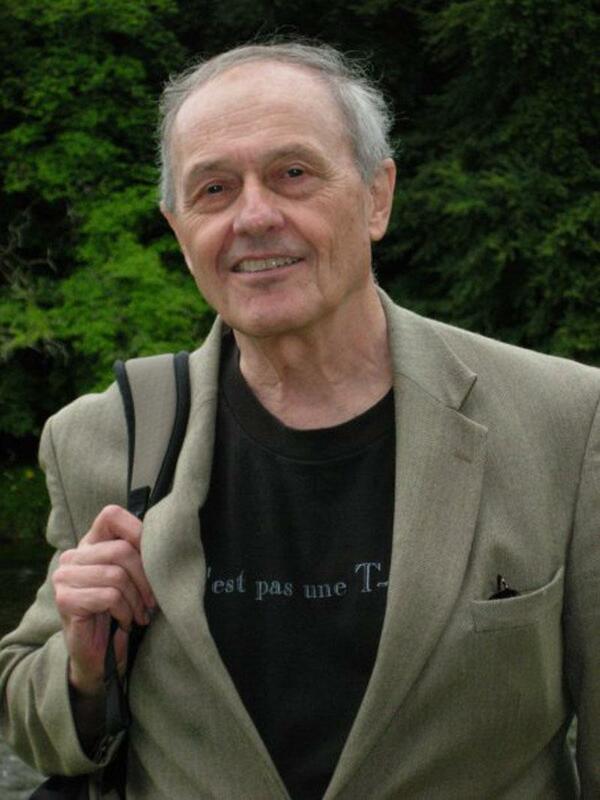 I write to share the sad news that John Bugge, Professor Emeritus of English, passed away yesterday. John suffered head injuries in a bicycle accident just over two weeks ago, leading to complications from which he did not recover. John was a scholar of medieval literature - specializing in Chaucer, the Arthurian tradition, and Middle English devotional literature - and he began teaching at Emory in 1968. Throughout his decades on this campus, he became well-known as a beloved teacher. He received the Emory Williams Distinguished Award twice, and a Crystal Apple as well. Like many others in English, I knew him first-hand as a generous colleague: witty, warm, and optimistic at every turn. John was also devoted to the life of the faculty, and he played a critical role in the founding of Emory's Emeritus College in 2001. He continued to stay deeply involved in the Emeritus College; after his own retirement in 2011 he served briefly as its Interim Director and for a longer term as the chair of its executive committee. In 2013, he received the Distinguished Emeritus Award, a fitting recognition of his hard work to create and sustain a sense of community. We have not yet received details from John's family about services or other memorial activities, but my office will share those once they become available. I know that many of you will want to express your wishes of sympathy to John's family and friends. John Bugge, who taught English at Emory for 43 years and co-founded the Emeritus College, died on Nov. 5 at age 77 after he sustained injuries in a bike accident, according to Professor of English Sheila Cavanagh. Bugge suffered from severe brain injuries and cervical and facial fractures on Oct. 18, according to an Oct. 25 email from Cavanagh. Remembered for his warmth and wit, Bugge co-founded the Emory University Emeritus College, an association of retired Emory faculty and staff, in 2001 and served three terms as director of graduate studies for the English Department, according to Professor of English Jim Morey. Before coming to teach at Emory in 1968, Bugge obtained his bachelor's degree from Marquette University (Wis.), received a Fulbright grant to Germany and earned his master's and Ph.D. from Harvard University (Mass). Bugge specialized in medieval literature and taught courses on Geoffrey Chaucer, Arthurian literature, poetry and the history of English literature, according to Morey. Bugge retired in Fall 2011 and became a professor emeritus of English and chair of the executive committee of the Emeritus College, serving as its interim director in 2012. Bugge received the Distinguished Emeritus Award in 2013 for his work in fostering community among Emory faculty members. Cavanagh remembers Bugge as someone who was "always very generous to everybody" and a "dedicated and skilled teacher." He was well-liked by students and colleagues, twice receiving the Emory Williams Distinguished Teaching Award and a Crystal Apple Award for Teaching Excellence, according to Cavanagh. Outside the classroom, Bugge biked - Cavanagh said she often spotted him pedaling up the hilly Houston Mill Road - and acted. Bugge was involved with Theater Emory and performed in some productions with the group, including "The Cherry Orchard" in 2013. During the British Studies study abroad program in the U.K. that he directed during the summers, Bugge organized faculty and student actors to put on an opening dramatic presentation about Oxford University (England), Cavanagh said. "His acting skills and ability really played into why he was such a talented teacher because he could really bring things to life," Cavanagh said. "He was very enthusiastic about the literature he was teaching and was very engaged with the students." Whether he was interacting with students or other professors, Bugge "valued the University" and enjoyed being a member of the Emory community, Emeritus College Director Gray Crouse said. "He was so invested in being a faculty member at Emory that, as he saw himself retiring at some point, he didn't want that retirement to mean that he was basically saying goodbye to the University," Crouse said. Bugge "gave himself to Emory," Morey said, adding that Bugge never sought the spotlight, but he was an "ever-present, behind-the-scenes" person who was "essential." Morey added that he appreciated Bugge's mentorship of himself and other junior faculty. Bugge mastered "terrific pronunciation" of Middle English, and, when he taught, it seemed like he had sprinkled "magic dust" over his classroom, Morey said. Bugge is survived by his wife Liza Davis and sons Stefan Bugge (14C) and Eric Emmons. The family has not yet announced memorial plans. A bicycle accident last month took from us a most valued member of our faculty. John M. Bugge, joined the Emory faculty 50 years ago armed with a Masters Degree and PhD from Harvard in English Literature. He became a nationally recognized expert in Chaucer and other important writings from the middle ages. John was repeatedly recognized for his teaching skills by his Emory students. I got to know John while serving on the University Faculty Council and Senate. He was an outspoken advocate for the faculty and at that time (1998) put forward the idea of an Emeritus College for retired faculty members. He had recognized that good health through our working years left many faculty with strong intellectual development, the wisdom of experience, and a long life after retirement. He saw this as an untapped resource for Emory. He was a co-founder of our very active Emeritus College and since 2009 has been the Chair of the Executive Committee. In 2012, with loss of key staff, John served for several months in an administrative role as Co-director. The Emeritus College provides frequent programs of interest to our faculty, and mentors for junior faculty and for foreign students. It is a resource for teachers in OLLI courses for members of the community that surrounds Emory. Other universities have recognized the Emeritus College at Emory to be a model for development of similar organizations on their campuses. John was the major force in bringing the 2018 Conference of the Association of Retirement Organizations in Higher Education to the Emory Campus in early October. Without John Bugge, it is doubtful that the Emeritus College would exist at Emory. John served as a leader with grace and determination that made working with him both fun and motivating. He took this persona to the stage with many acting roles in Emory Theatre, in both Shakespearean plays and those more contemporary. This hobby continued through his active faculty years and after retirement. He took community involvement very seriously and I am sure that while riding his bicycle, he was feeling the rewards of saving fuel, preventing global warming, and reducing the crowding of roads and parking on campus. Emory has been very fortunate to have John Bugge on our faculty for these many years, and we can and must celebrate his life as we now mourn his loss. In 2010, the year in which I declared I'd be retiring by the end of August 2011 (to take advantage of one of Emory's special offers for retirees), I attended my first ever Emeritus College event--a reception honoring recipients of the Heilbrun award, one of whom was my wonderful Oxford colleague and friend, French professor Matt Morris. I'll never forget opening the door to the ballroom in the DUC to find that the program had already begun. As I glanced around the room, I thought "My gosh, I've never seen so many old people in one place." Then I thought, "I guess these will be my people now." And I wasn't sure how to feel about that. In the spring of 2011, I began to learn how to feel about that. Thanks to John Bugge's suggestion to Betty Connell, who was scheduling speakers for the EUEC's twice-monthly lectures, I'd been invited to give a talk on Shakespeare. I opted to discuss "Desdemona down through the Ages," and when the tech in the room (many of you will remember the room on "the Briarcliff campus") didn't work well enough to allow me to show key scenes from productions of Othello, John stepped up to provide dramatic readings of the passages I wanted everyone to hear. Then when a flood of interesting questions and comments from those present pushed us right past the supposed time limit on the session, I thought, "Well, maybe a roomful of old people--representing many different disciplines and multiple decades of life experience--is a good thing, even a great thing." And "Maybe I should be delighted that 'these will be my people now.'" In August, when my retirement became official (as did John Bugge's), John encouraged me to join the EUEC Teaching and Lecturing Committee Jon Gunnemann was chairing. When I turned up at the first committee meeting, Betty Connell announced she was ready to give up scheduling speakers for the twice-monthly lectures (after long years of service). And perhaps you can guess who suggested I might be willing to take over that responsibility. The rest is history--a history that all of us involved in the Emeritus College happily share--the ever-unfolding discovery that it does indeed constitute the kind of collegial community John and Gene Bianchi, its co-founders, envisioned from the get-go. It is indeed a place where "retired" academics can continue to live the life of the mind that drew us to the academy in the first place--and perhaps live it better than ever before. Participating in its programming, we can in fact enjoy the pleasures of "School Forever," and maybe never more so than through the wonderful series of Interdisciplinary Seminars that John initiated in the spring of 2014. In the years since, they have epitomized the intellectual questing in a spirit of camaraderie that John considered a prime experience for people like us, people still as interested in learning as in teaching. I hope we'll commit to the continuance of these seminars. Among the many offerings of the Emeritus College, they may be the most fitting memorial to a man many have compared to Chaucer's portrait of the quintessential scholar and teacher, the Clerk: "gladly wolde he lerne and gladly teche." I'll close this brief tribute to our friend and colleague by noting that the word "gladly" strikes me as particularly suited for use in any celebration of the life John lived and encouraged (and enabled) the rest of us to live, as well. I doubt that anyone who ever interacted with John in any way was ever anything but gladdened by his presence. And now, in his absence, I think we must continue to keep his special spirit alive--continue to do as Julian of Norwich, another medieval writer John much admired, advised--and that is "live gladly." Julian of Norwich is also the person who proffered the following famous words of solace for grief: "All shall be well, and all shall be well, and all manner of thing shall be well." I shall try to believe that. John, we greatly mourn your passing, dear colleague and friend, and we send sympathy. hope and peace to your dearest ones. You served many students and faculty with leading roles as teacher in literary studies, theatre, and leader in the AAUP during your career at Emory. You were a stalwart in co-founding the Emeritus College during its years of development from 2000. It seems fitting that you recently directed the national AROHE Conference at Emory, a wider view of your vision and collaboration. I'm very grateful for your encouragement in turning this religion professor into a would-be poet. John, you live in our hearts. As I sit here today at my computer trying to write and reflect upon my deep sadness since learning about the death of Emeritus Professor John Bugge, who died on November 5th as the result of a bicycle accident on October 18th, I just cannot fathom that John is no longer here with us. I continue to have tears in my eyes every time I think about his untimely death. John was truly a distinguished faculty member throughout his long illustrious 43 years at Emory. He loved every minute being an Emory faculty member, so much so that he helped co-found the Emory University Emeritus College (EUEC) in 2001. John retired in 2011 to become Emeritus Professor of English and Interim Director and Chair of the EUEC Executive Committee. Let me explain how our friendship started and grew over the past four years. On January 20, 2015, I invited John to attend the monthly meeting of the Faculty Life Course Committee (FLCC) that I chaired. The formation of an Emory Faculty Club topic came up and we talked about how the Emeritus College could form a partnership with the FLCC to explore the development of an Emory Faculty Club (EFC). John, whom by the way I had never met even though we both were faculty members at Emory for over 40 years, was very excited about the formation of an EFC and he accepted my invitation to join the Emory Faculty Club Development Committee. Together John and I formed a dynamic collegial working relationship. I would regularly bounce ideas off him and he would assist me greatly in wordsmithing all my written documents while keeping me properly focused. I especially always enjoyed his wit and charm. We made presentations together to the Emory Faculty Council and received permission from the Council to conduct a faculty survey. The survey response rate was excellent, being slightly over 40%. 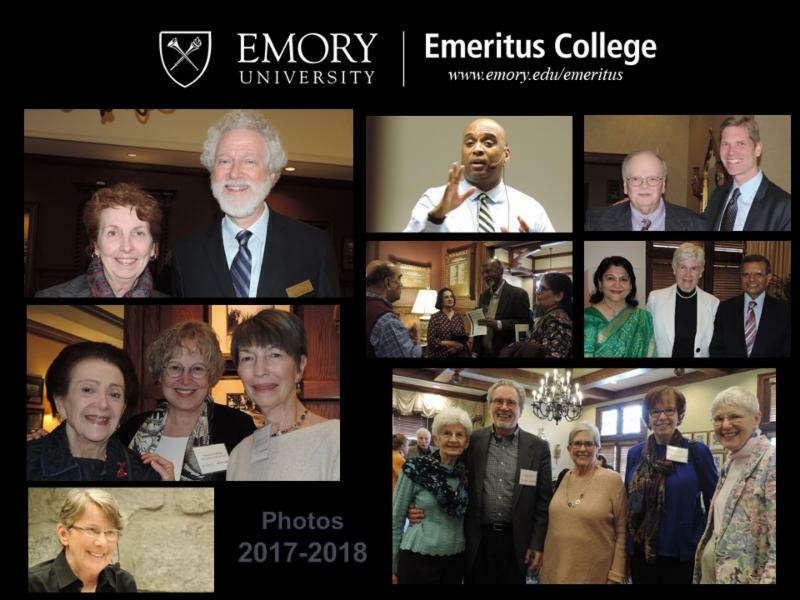 The survey clearly demonstrated the overwhelming interest of the Emory faculty to have a Faculty Club on the main campus. This past academic year John asked me to serve as the Rollins School of Public Health representative on the Emeritus College Executive Committee. I agreed to do this, knowing that John was the Chair of the Executive Committee. With regard to the faculty club, most recently, Provost Dwight McBride and President Claire Sterk requested a feasibility study to locate a site for an Emory Faculty Club on the main campus. 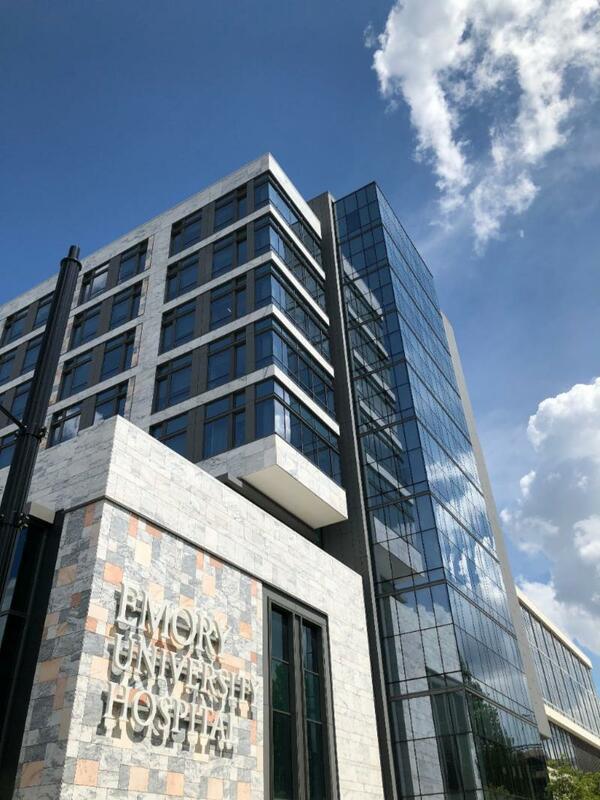 Prior to this came an announcement from the central administration indicating that the formation of an EFC was one of Emory's strategic initiatives over the next 5 years. Both John and I celebrated this major accomplishment, which was due in large part to John's untiring role as my trusted advisor. John will be first in my thoughts at the grand opening of the Emory University Faculty Club. The Emory academic community is saddened by the loss of a true academic "hero." I extend my sincere sympathy especially to John's wife and sons. To me John Bugge represents the high-water mark of the Emory Emeritus College, its co-founder, leader, and magnetic presence at gatherings, seminars, and in committees. John was always an attentive listener and ready responder, his interest, warmth, and involvement a way of life. John was always a prompt email responder from 2012 onward. I always looked forward to what he had to say and the way he chose to say it, the professor of English emeritus. I have reviewed all of our email exchanges since 2012, a remarkable collection of multiple topics. I even find his "enigma" email address unique and curious. I knew John as Professor Bugge, as did my husband Charles, at Emory College from 1970 to 1974 and then myself 1974 to 1975 in the MLS graduate program also at Emory. We became reacquainted in 2006 when my son applied to Emory, and the friendship continued when my daughter applied to Emory in 2009. (While both were accepted, unfortunately neither chose to attend Emory. A disappointment, especially as my son was offered a slot as a Woodruff Scholar.) Our friendship continued on with a steady stream of emails from then until his death, and lunches when I was in Atlanta. (In fact, we were due to have lunch the day of his accident.) Occasionally John's wife Liza would join in. It was a treasured friendship and I will miss him terribly. Terribly. He was LOVED by his students! His classes filled quickly, with beggars in line for overdraft slots. One might see students hanging outside his classroom door to listen when he plunged into his beloved Chaucer. And it was astonishing how he brought King Arthur and his Knights back to life. These words keep coming to mind: a Gentleman and a Scholar. Rest in peace, John Bugge. You were a gift to all who knew you. John Bugge and I first met and made plans in 2010. We were attending the Association of Retirement Organizations in Higher Education 2010 meeting on the Wesleyan University campus. We planned to meet in Atlanta to discuss forming a statewide consortium of retiree organizations modeled on AROHE, the national association. When we did get together for lunch, I thought I would order a French Dip or maybe a hamburger. John ordered first and chose a healthy salad. I decided I should order one, too. John could and did lead by example. 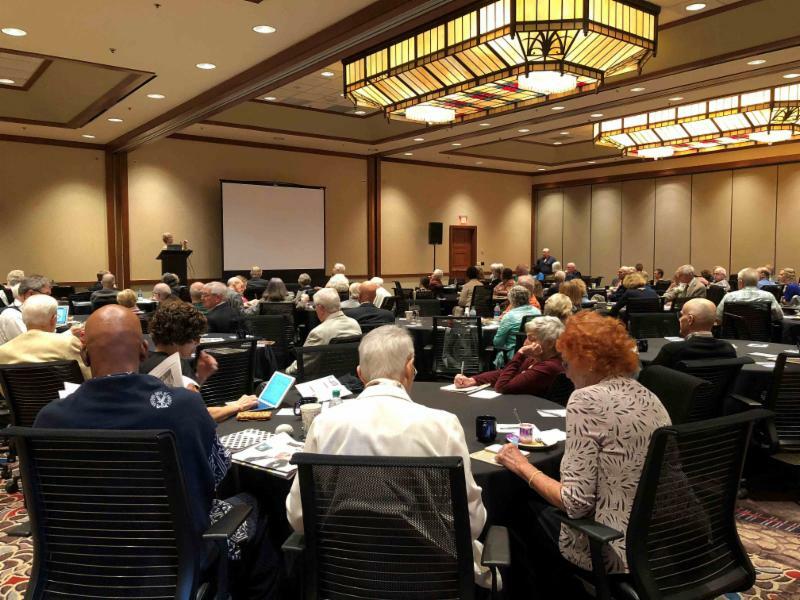 The idea of a Georgia consortium of retiree organizations became a reality when 21 representatives from 11 schools gathered, approved the concept, and decided to have a second meeting. At the top of that meeting's agenda was creation of a name with a good acronym for our group. GA-HERO, Georgia Association of Higher Education Retiree Organizations, was adopted. John contributed a list with four or five acronyms that demonstrated his skills as a wordsmith. GRUNT is the only one I remember, and it's a cherished memory of his good spirit. 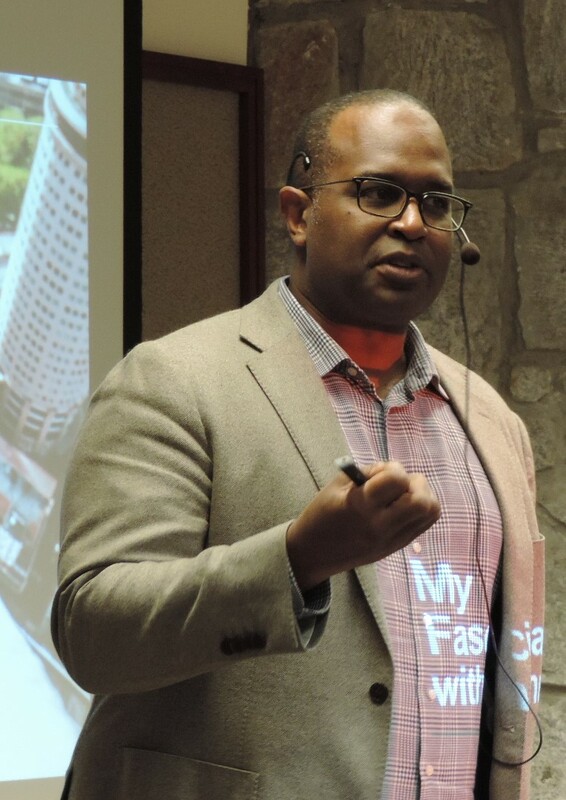 John brought his experience and expertise with Emory's Emeritus College to GA-HERO. The Emory University Emeritus College is one of the first and finest in the nation. John was a co-founder. He generously shared its programs, projects, and ideas with all of us. He showed us what could be accomplished and inspired us. GA-HERO has thrived. Its meeting this November is dedicated to him. Without John Bugge there would be no GA-HERO. As we had begun, John Bugge and I, for the last time, met at the AROHE 2018 meeting and made plans. Gray: You and John came to the University of Cincinnati for two days in October 2015 to promote the establishment of an Emeritus College here, and the following spring our provost announced that an Emeritus Center had been approved. The visit by both of you was instrumental in helping us develop the proposal and achieve this significant approval. We now have a half-time paid Executive Director who, like you, is also an active member of the faculty. Five years ago Dr. John Bugge and Dr. Dave Ewert were keynote speakers to the Retired Educators Special Interest Group of the Association of Teacher Educators (ATE) at its annual meeting held in Atlanta. Drs. Bugge and Ewert spoke to a standing room only group of retired or pre-retired educators about transformations in retirement and AROHE. Drs. Bugge and Ewert had agreed to speak to this group at the 2019 Conference to again be held in Atlanta, February 20th. John was such an important contributor to AROHE, and his most recent work on the 2018 Conference was so significant. He will be greatly missed. As an instructor at OLLI/Emory I worked with John on four projects. He was the complete Professor. He could inform and entertain with an ease that was rare. His progressive views and intellect will be missed at OLLI. His work with senior citizens showed a generosity that inspired other instructors. I will miss his slightly devilish smile. 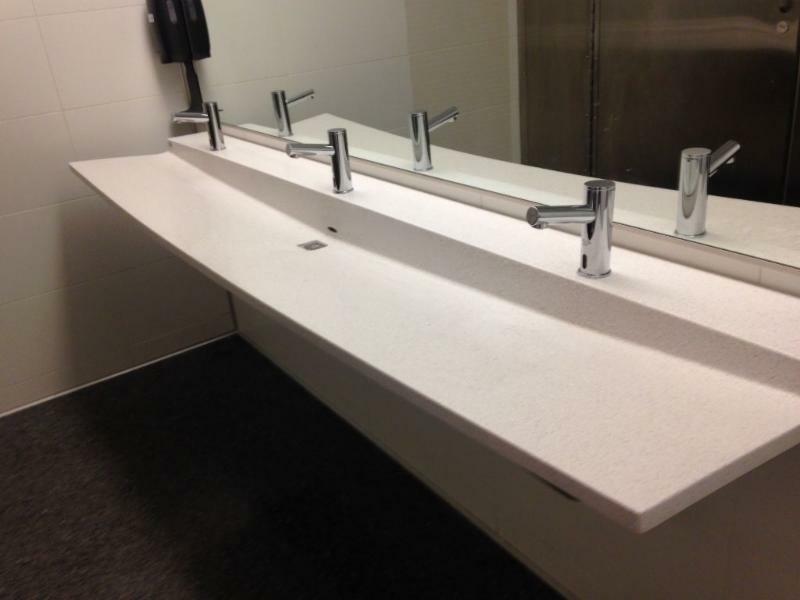 The sink in question, from our last adventure, can be found in the new section of the Emory Hospital. I would assume all restrooms in the building have similar sinks, but I guess future explorations will have to confirm that! As you can see in the photo, the sink is merely one slab of marble or ceramic shaped to allow water to gently flow to the center for drainage. I don't know about you, but I think the sink is beautiful. For our next walk, let's keep the water theme going.....somewhat. This next spot made me feel like I was in an aquarium!